1.What are the main differences between the Phantom 4 and Phantom 4 Pro? 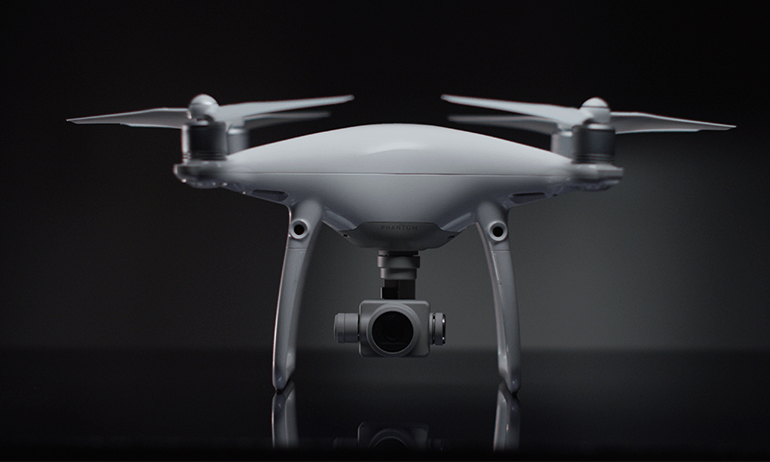 The Phantom 4 Pro redefines the iconic Phantom series, bringing imaging and intelligence to new heights. Its uprated camera shoots 4K/60fps at a bitrate of 100Mbps and stills up to 20-megapixels, creating dramatically better images. The FlightAutonomy system adds dual rear vision sensors and two Time of Flight range imaging cameras for a total of 5 directions of obstacle sensing with a range of up to 30m in all directions. The upgraded Lightbridge HD video transmission system offers an extended maximum transmission range of 4.3mi (7km) and also enables you to switch between 2.4GHz and 5.8GHz. It can also be used with an optional integrated monitor for even more reliable transmission. Operators are also further empowered with a new suite of ActiveTrack and TapFly functions. The aircraft’s Intelligent Flight Battery also have increased capacity by 520mAh to enable an extended flight time of 30 minutes. 2.What, if any, are the main differences between the Phantom 4 Pro and Phantom 4 Pro Obsidian? Both the P4P and P4P Obsidian share the same product spec. However, the P4P Obsidian comes in an all-new matte black casing. 3.Which Micro SD cards are supported? 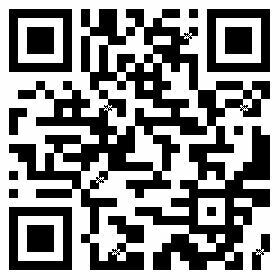 *It's not recommend to use the Patriot EPPRO 64GB MicroSDXC UHS-3. 4.Does the Phantom 4 Pro Obsidian come with similar looking matte grey accessories? Yes, there is a broad range of matte grey accessories for the P4P Obsidian including propellers, prop guards, batteries, and UV/ND filters. 1.What is new about the Phantom 4 Pro’s camera? The Phantom 4 Pro camera is equipped with a 1-inch 20-megapixel sensor and has a manually adjustable aperture from F2.8 to F11. It also supports auto focus by half-pressing the shutter button, and has a focus range, from 1m to infinity. Always refocus before capturing additional shots in the event that the subject has moved beyond the focus point. Focus at infinity if the subject is over 98ft (30m) away. Refocusing is also needed when switching from close shots to long shots during recording. 2.What advantages does the Phantom 4 Pro have for shooting video? The Phantom 4 Pro is able to record UHD 4K (4096X2160) at 60fps, at a maximum bitrate of 100Mbps using the H.264 codec and also supports H.265. It also allows you to capture still images while filming. The Phantom 4 Pro camera’s sensor is also larger than before, ensuring clearer images. 3.What is the resolution and format of the photos captured while recording video? 4.What is the advantage using the new H.265 video format? 5.What’s the benefit of having a mechanical shutter? 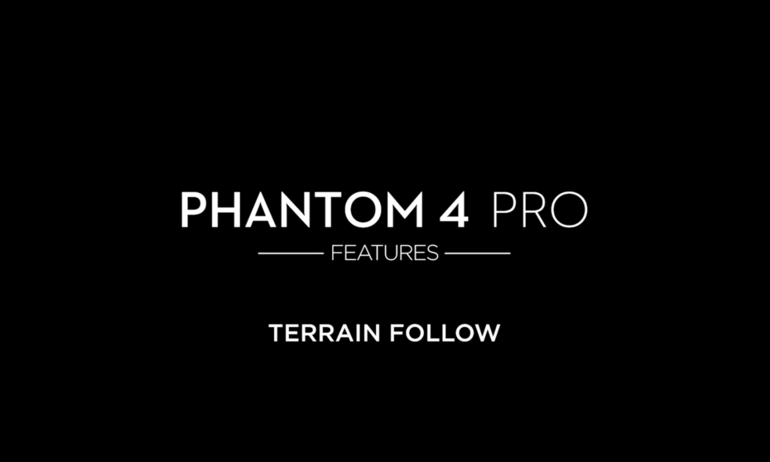 6.Does the Phantom 4 Pro support focus? Tap a point on the display to focus at that point after switching from metering to focus modes. Auto focus can also be triggered by half-pressing the shutter button, before fully pressing the shutter to capture an image. Focus can be set between 1m and infinity. 7.What are the main features of the Phantom 4 Pro camera lens? The Phantom 4 Pro uses a brand new camera lens optimized for aerial imaging, with an aperture range from F2.8 to F11 and a 24mm equivalent focal length. It’s equipped with a mechanical shutter and adjustable aperture range, with auto focus support. 1.When do the infrared sensing system work during flight? 2.How do the infrared sensing system work? Available in Beginner Mode and Tripod Mode only, the infrared sensing system has a sensing field with a 70° angle horizontally and 20° angle vertically. The radiated infrared light is reflected back by obstacles, allowing the sensors to “see” them at a distance of up to 23ft (7m) by calculating the difference in projection and reflection times and using this information to create a 3D model about the environment and obstacles in it. 3.What improvements have been made to the Phantom 4 Pro’s obstacle sensing system? Phantom 4 Pro’s maximum front obstacle sensing range has been extended to 98ft (30m), with the rear sensing system sharing the same capability. 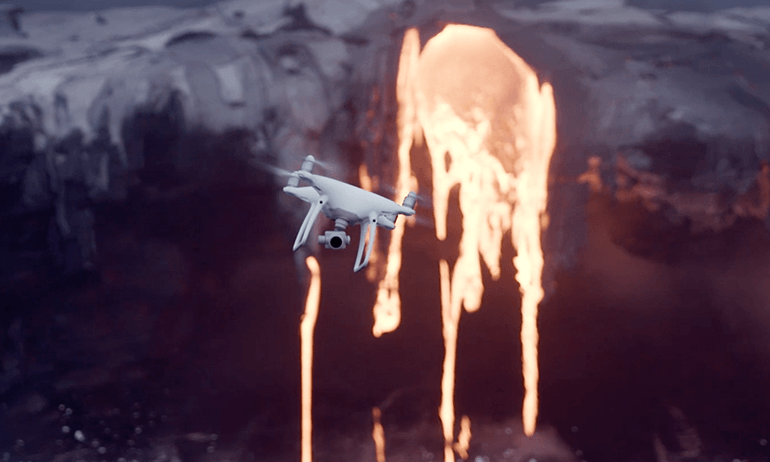 Additionally, the Phantom 4 Pro is equipped with infrared sensors on both sides of the aircraft, precisely detecting the distance between the aircraft and obstacles within a range of up to 23ft (7m). 4.Is there any difference between the front and rear obstacle sensing systems? 1.Are the Phantom 4 and Phantom 4 Pro remote controllers compatible with each other? 2.What’s new in the Phantom 4 Pro remote controller? The Phantom 4 Pro is compatible with two types of controllers, standard and optional. both can switch between 2.4GHz and 5.8GHz frequency bands with a maximum controllable range of 4.3mi (7km) (Unobstructed, free of interference, FCC compliant.). Both can focus by half-pressing the shutter release button. The Phantom 4 Pro + has a 5.5-inch 1080p display, with 1000 cd/m2 brightness and built-in DJI GO 4 app. Its remote controller is also equipped with HDMI port, Micro SD slot, microphone, loudspeaker and Wi-Fi connectivity. 3.Can I detach the integrated display from the Phantom 4 Pro + remote controller? 4.Can I connect an iOS device or Android device to the Phantom 4 Pro + remote controller to use DJI GO 4? 5.Does the Phantom 4 Pro + remote controller have a built-in loudspeaker and microphone? 6.What is the resolution of the Phantom 4 Pro + remote controller display? 7.What apps are preloaded on the Phantom 4 Pro + screen remote controller display? Popular social media apps and DJI GO 4. 8.What operating system does the Phantom 4 Pro + remote controller display use? It uses a customized DJI system. 9.Is the remote controller’s screen display’s brightness adjusted automatically or manually? 10.Can I download other apps onto the Phantom 4 Pro + remote controller display? Users can install third-party apps when the Phantom 4 Pro+ remote controller is updated to the latest firmware version. 11.Does the Phantom 4 Pro + remote controller support Wi-Fi and Bluetooth connectivity? It supports Wi-Fi but not Bluetooth. 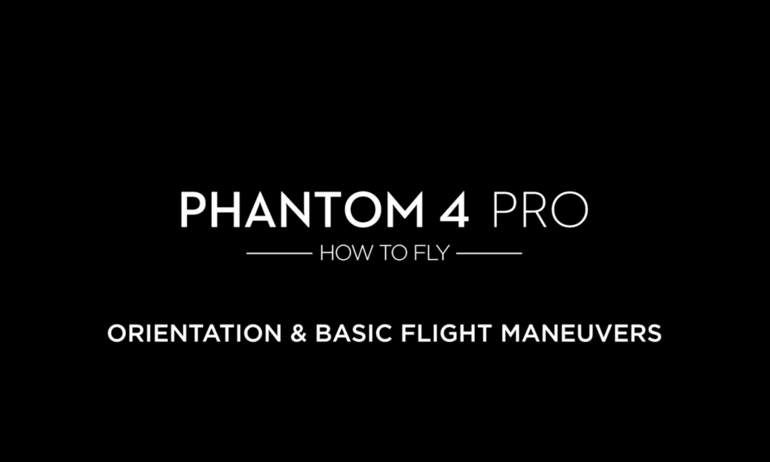 1.What new Intelligent Flight Modes are on the Phantom 4 Pro? AR Route, TapFly Backward, TapFly Free in Tap Fly mode, Circle, Profile, and Spotlight in ActiveTrack, as well as Draw and Gesture Mode. It also supports Narrow Sensing and uses new RTH algorithms. 2.How is Phantom 4 Pro’s Smart Return Home improved? 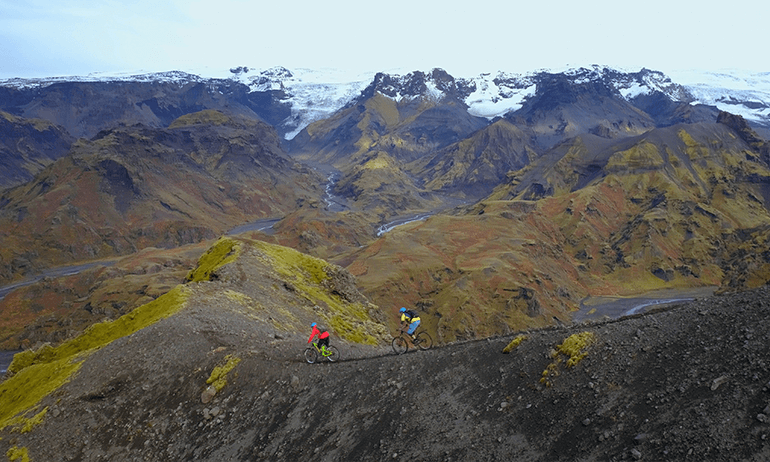 The new Smart Return Home forms a map of its environment in real-time. The aircraft will choose the best flight path to return home and senses as far as 300m to avoid obstacles more effectively. If the control signal is lost, the Phantom 4 Pro will retrace its original path to regain its connection after 1-minute. When it reconnects, it will return to home following a straight route. If it fails to regain connection, it will also revert to straight line RTH. 3.How to use Narrow Sensing? Set C1 or C2 as activation switch for Narrow Sensing. When flying in a complex environment, activate Narrow Sensing and the aircraft will adjust its sensing range and flying speed to fly through narrows gaps. 1.Can use Phantom 4 propellers on the Phantom 4 Pro? 2.How is Phantom 4 Pro’s propulsion system optimized? It has the same Sport Mode max speed as the Phantom 4 and faster Obstacle Avoidance enabled flight, achieving 31mph (50kph). 1.What is difference between Phantom 4 and Phantom 4 Pro Lightbridge systems? The Phantom 4 Pro uses a new dual-signal Lightbridge video transmission system. It has a transmission distance of up to 4.3mi (7km) (Unobstructed, free of interference, FCC compliant). Users can also switch between 2.4GHz and 5.8GHz control frequencies to cut through interference. 1.Are the Phantom 4 Pro batteries and battery charger compatible with the Phantom 4? 2.What is the capacity of the Phantom 4 Pro battery? How much has the flight time been extended compared to the Phantom 4? The battery capacity is 5870mAh. It flies for two additional minutes compared to the Phantom 4. 1.During upgrading, if the level of flight battery or controller battery drops below 50%, will the upgrading process fail? Yes. Always use a battery with more than 50% power when upgrading. 2.What if battery firmware is not consistent with the upgraded aircraft? Use DJI GO 4 to upgrade the battery firmware to the appropriate version. The Phantom 4 Pro is no longer in production. For the latest in DJI technology, please view our product recommendations below. Built for professionals, the Mavic 2 Pro features a Hasselblad camera with a 1-inch sensor.